Weather/Conditions: Overcast but dry. Cool air not far above freezing and some wind on top. Druim na Sgriodain was clagged in, so no pano. 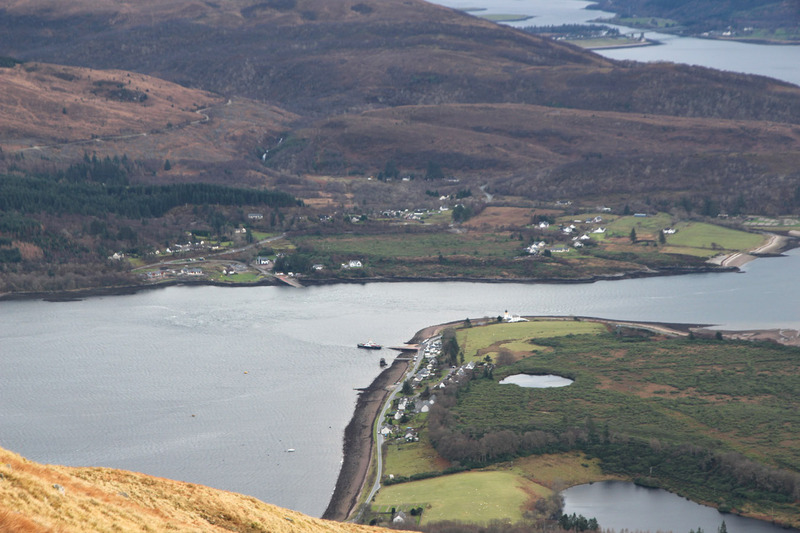 Druim na Sgriodain is the high point of an arcing ridge running behind the Corran/Ardgour ferry. 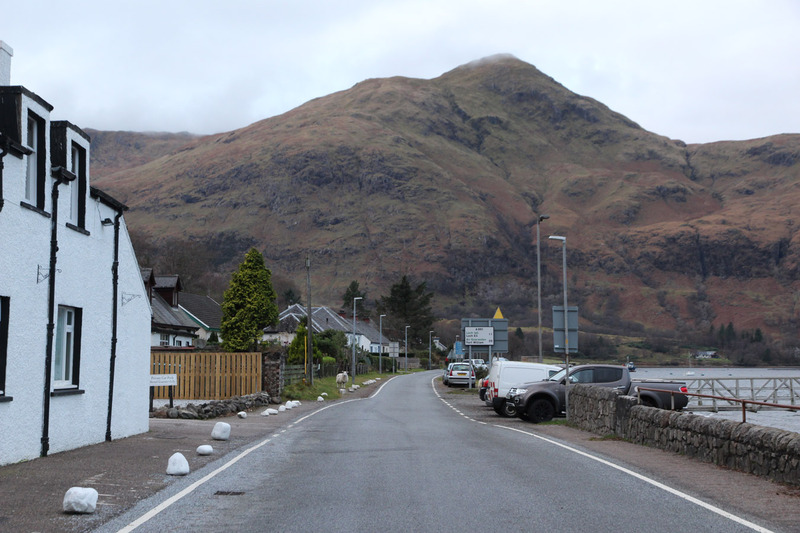 It's not a massive hill, but it is very conspicuous from the A82. 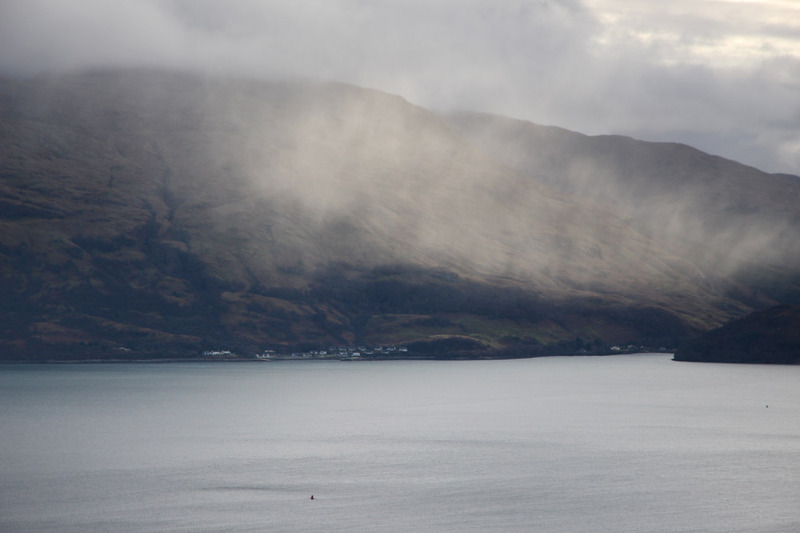 It dominates the scene by Corran, not far in distance yet on the other side of Loch Linnhe and a ferry ride. 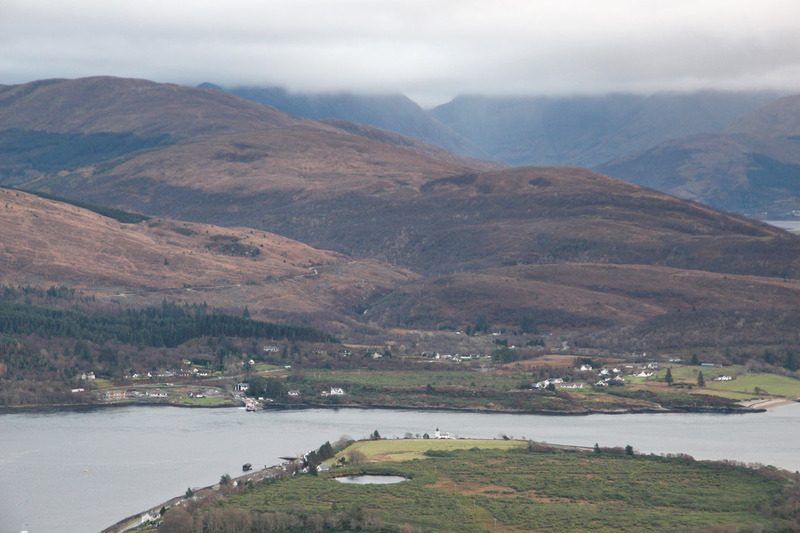 When I lived in South Ballachulish this hill was the view from my window. Now in Corran, it is even bigger out the window! So I thought I might as well climb it sooner rather than later. 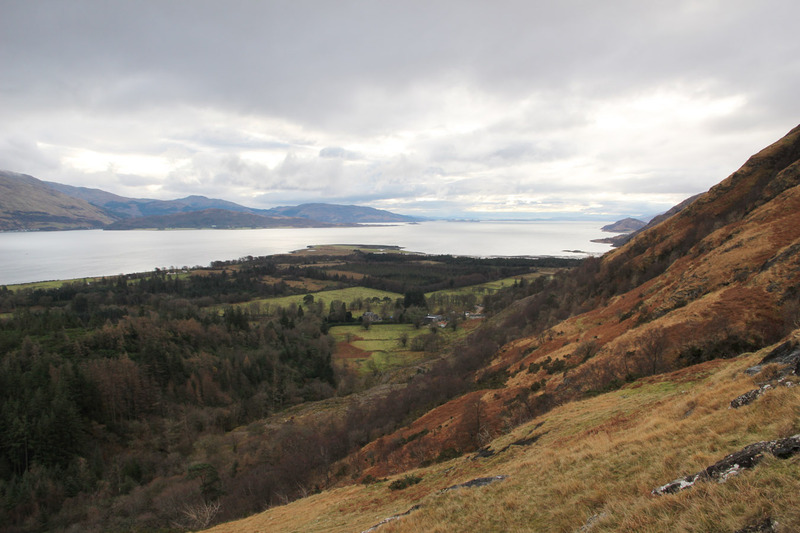 The Walk Highands folks were in Corran for a walking weekend and Druim na Sgriodain would give me a one-day head start. I took the bike down to the ferry and went across. This peninsula has a network of avenues running across the flats. 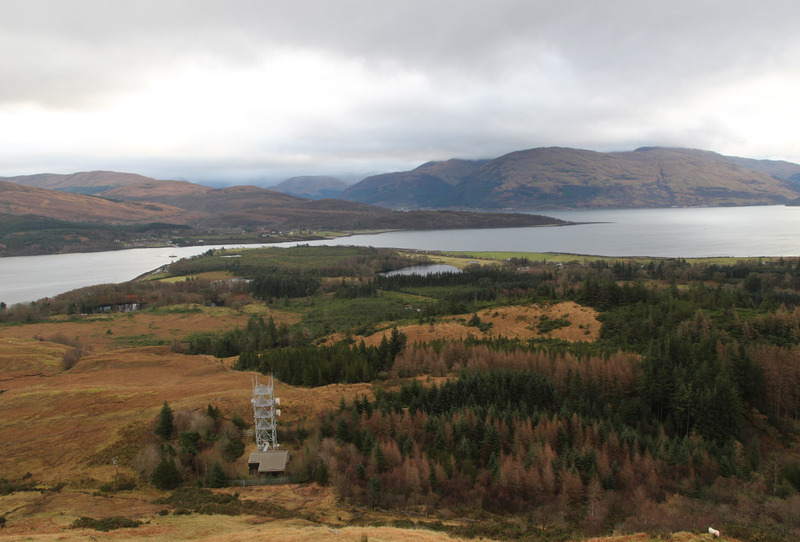 It's all sprawling mature trees and piles of roddys - quite unlike anywhere else in this part of the world where human habitation is more often squeezed between mountain and sea. I took the bike just short of the mast and walked up the hill to this. From here the ground steepens considerably and turns into sheep grazing. Mum phoned at this point, so I spent the first of the ascent panting away or standing around chatting. 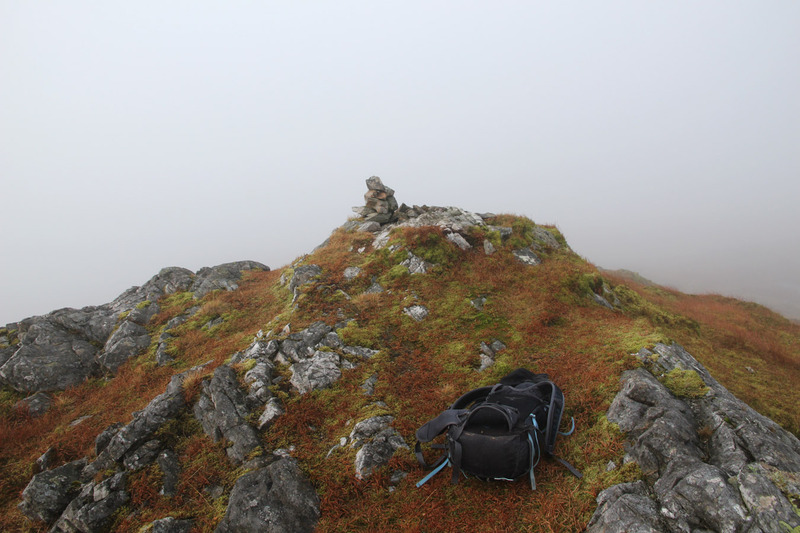 It was a long plod up in the direction of Sgurr na h-Eanachainne. 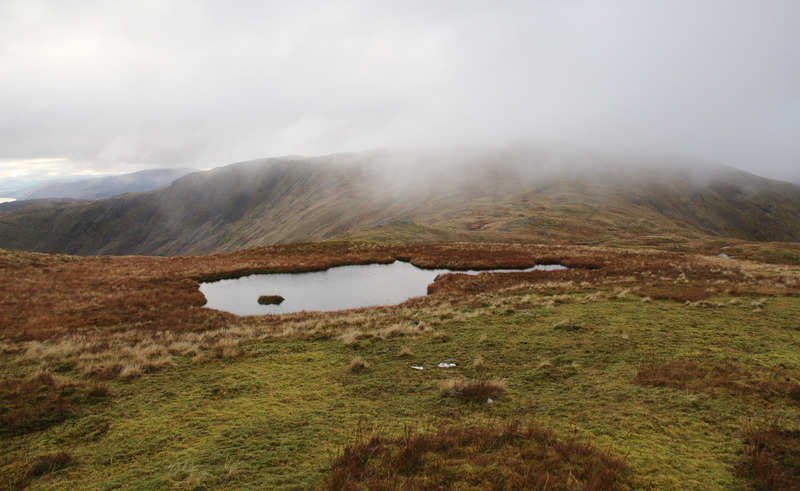 This summit is a subsidiary top to Druim na Sgriodain, nearly two kilometres to the east and only three metres lower in altitude. 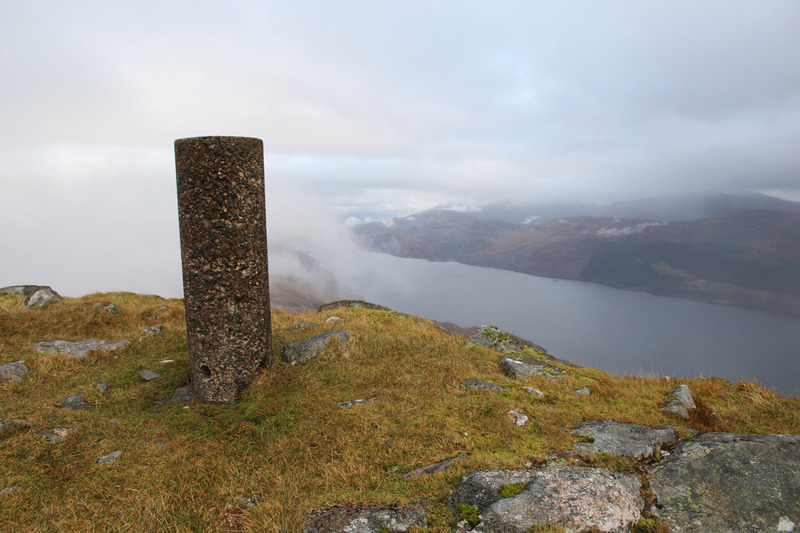 Unlike the druim, it is a beautiful pointed summit and this often catches the eye to make it look higher. 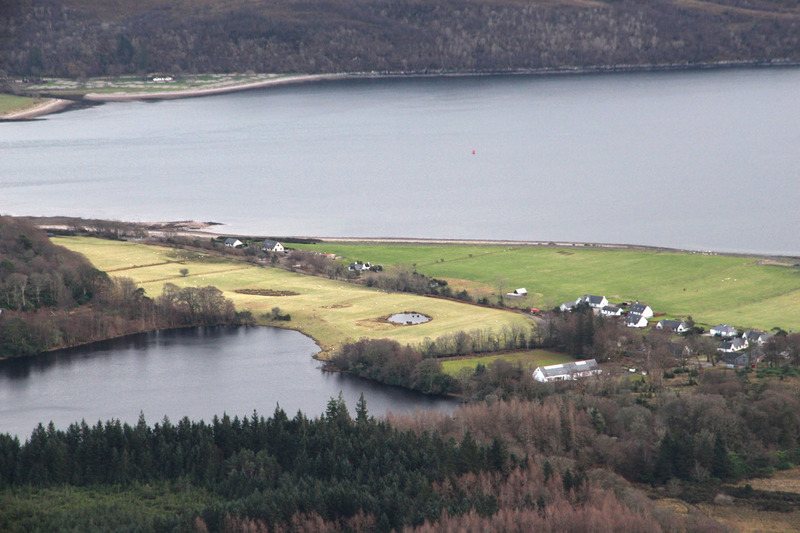 Any time I drive back down Loch Linnhe from the Fort, this hill is a defining feature of the land. So - about time I got up it! 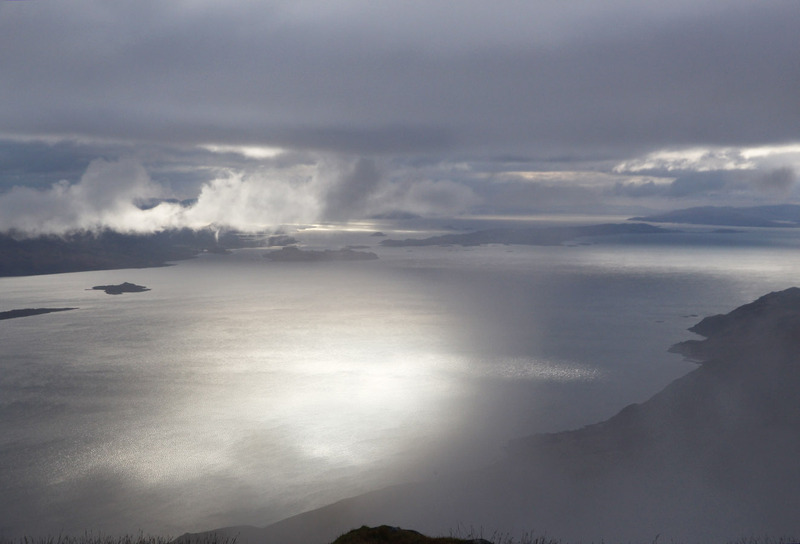 Sgurr na h-Eanchainne was blasted by wind, with cloud tearing across the summit. 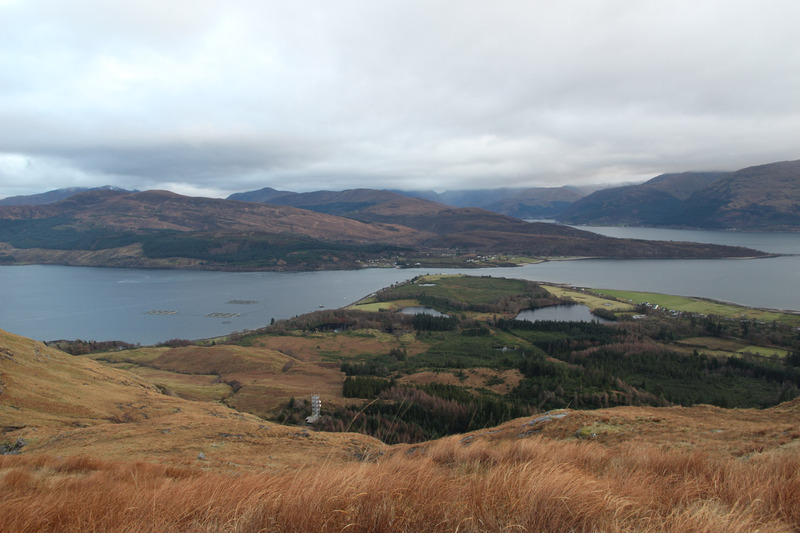 I got some views here, then began my walk westward to the druim; half in cloud and half out of cloud. I was also looking forward to the weekend to come, and didn't know where plans would take me. 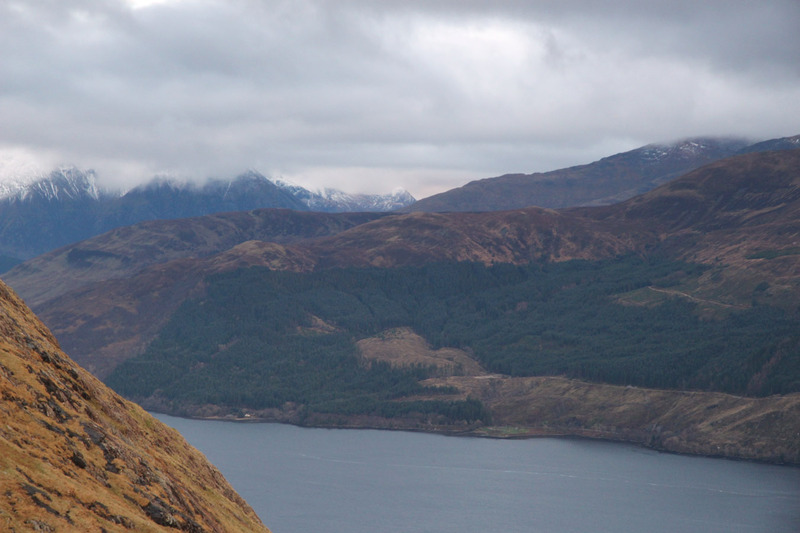 This hill was really my first stab into Ardgour, and in just a few days I'd climb an appreciable amount of it's hills, owing to a couple dawn-to-dusk walks. 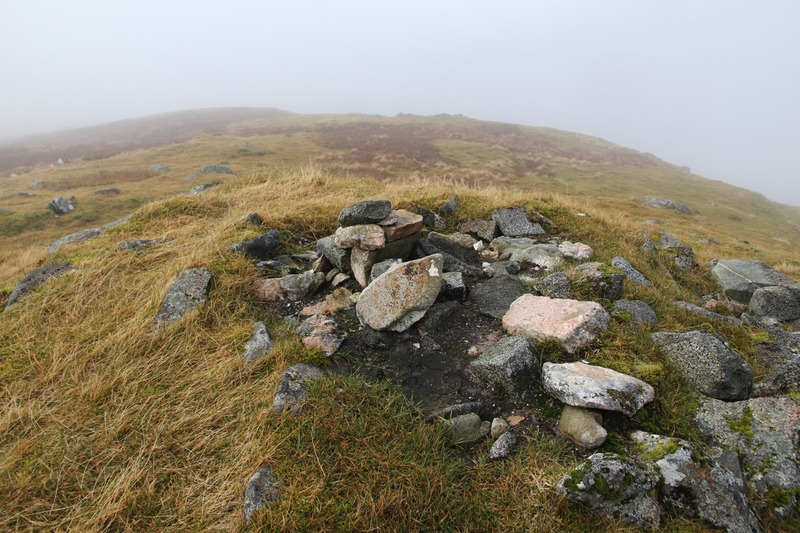 Druim na Sgriodain was just a cairn in the mist, surrounded by some bog and lochan terrain. 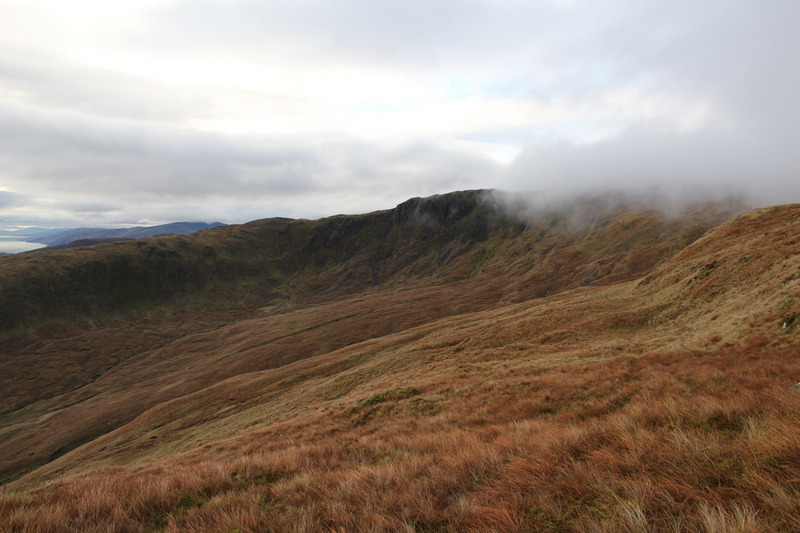 I took a bearing here, picked up the ridge leading back to Corran then dropped into Coire Dubh where the winds were lower. This is not a long day, but it was good to get the legs moving again. Back to the bike, I freewheeled down the avenues and back to the ferry. I was not long home at all!